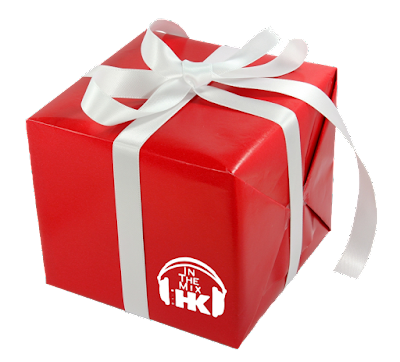 IN THE MIX WITH HK™: IN THE MIX WITH HK™ - THROWS OPEN THE PARTY BOX! IN THE MIX WITH HK™ - THROWS OPEN THE PARTY BOX! Party season is in full swing and I’ve got the hits all wrapped up for you. This weekend I’m droppin’ the needle on fresh new beats from Calvin Harris, Niall Horan, Charlie Puth, Daya and Taylor Swift. I’ve got Part II of my EXCLUSIVE BACKSTAGE interview with Max. Plus custom HK remixes on Ed Sheeran, Lauv, Camila Cabello, Demi Lovato, Portugal. The Man and so much more! Wait! You want even more? No problem, I promise a few sonic surprises to put your festivities over the top! It’s a non-stop hit music mix, so set an HK PARTY reminder! Remember…if it's hot, if it's new and it makes you wanna move…you're In The Mix with HK™ .